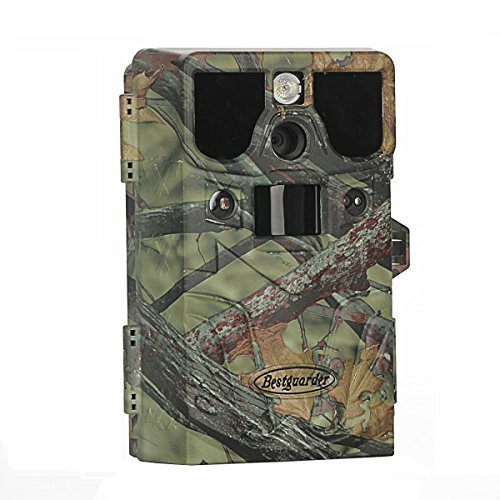 Bestguarder brand is one of the best game trail cameras that exist in the market and is also one of the smallest and best-performing cameras. In this list, you will know what the best Bestguarder game trail cameras that are for you and your wildlife scenarios are. 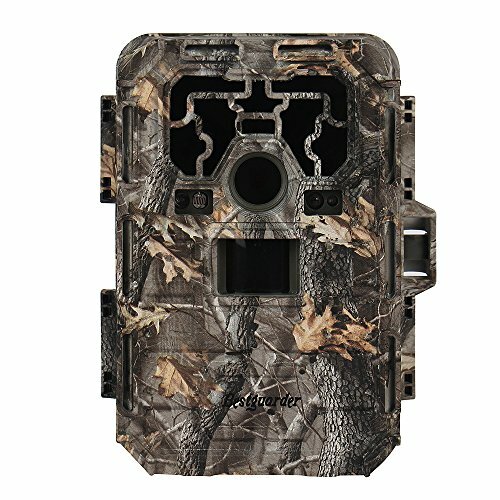 This one of the best Bestguarder game trail cameras is one of the smallest trail cameras that exist in the market. It takes high quality colored both photos and a with sound videos during daytime and a black and white picture during the nighttime when it detects a movement in the perimeter. It is even perfect for your security purposes and home surveillance, and more perfect for your hunting activities and wildlife observation and also useful for ecological monitoring researching. It has features of 2.0″ Color viewer TFT LCD screen and a 12 megapixels resolution image sensor. It has a time-lapse mode that will only take photos in a preset time intervals which is 10 seconds to 40 hours, a hybrid model that will make a picture and then a video b detecting a movement within a perimeter. Lastly, a motion detection mode that will take only videos with the light actions (which is the patent mode), and is used professionally for cold-blooded animals and can’t be used at night when there is not enough light. It has a programmable trigger interval (1second to 60 minutes), programmable video length (5 to 90 seconds) and a programmable digital zoom (2X, 3X, 4X). This model of a best Bestguarder game trail camera is a wireless device that has an alarm system of 0.5 seconds PIR trigger time, and it will send to the receiver through detectors. When the sensor is triggered by any movement in the perimeter, it will be transmitted to the receiver which has a distance of 100 meters, and it will create 15 seconds of vibration, LED light and a sound alarm that will identify which of those detector has been triggered ( up to 5 detectors). The model has only two packaged sensors, and you need to buy additional indicators if you have a more extensive range of space. The detector is water, and a shock resistant and the battery life is up to 400 hours, and the receiver’s battery life is up to 100 hours both when used continuously. This model is used by those hunters doing hunting of wild games who wanted to be informed by the approach of the animals and can also be used for the surveillance of both residential and for commercial properties. The receiver and detector’s power consumption is 4.5 volts and has a 25mW detector watt, with an 80 x 55 x 40 mm receiver size and 140 x 100 x 40 mm for detectors size. This version of Bestguarder game trail camera is a little bit similar to the wireless hunting and security alarm system kit because this also needs a detector and a wireless one. The alarm system or the model is used by the hunter to let them be informed by the approach of any animals and also used in residential and commercial surveillance. It has three alarm modes, a sound alarm, a vibration alarm, and a LED light alarm. 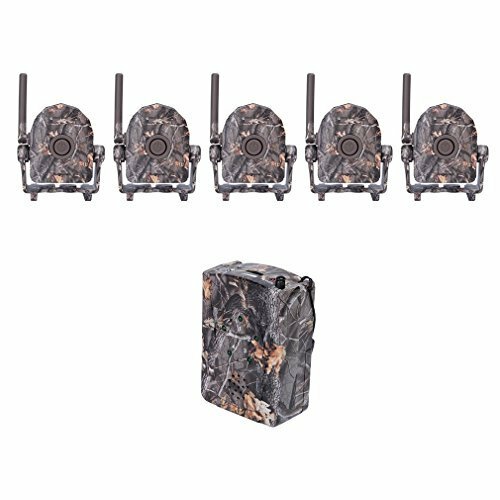 This best of the Bestguarder game trail camera can accept up to 5 detectors that will detect 360 degrees even with those blind spots places. To have five detectors, you have to purchase another three detectors because in the package it only has one receiver and two sensors. It has an adjustable detecting distance that will reach up to 16 yards and a wireless transmission range of up to 110 yards with a less than 0.5 seconds of the sensitive sensor for each motion on animals or movements in your area if you used this one as a surveillance camera. This model is water resistant that will make sure you so sure that you can use it even if it’s raining hard, and a shockproof that also if you dropped this one accidentally, it would not break easily. 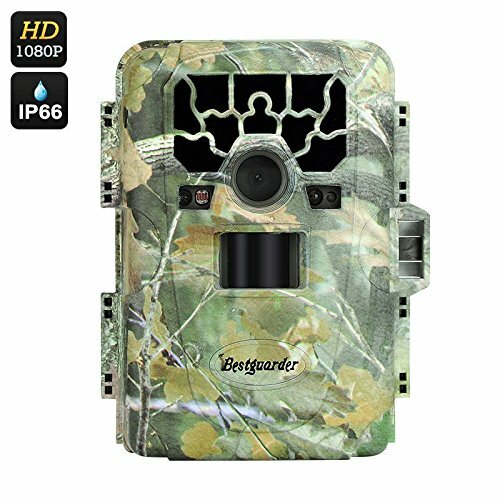 This kind of best Bestguarder game trail camera is used indoor and outdoor security like traffic or surrounding surveillance if you want to observe the wildlife, if you have to monitor the plants for your projects, etc., animals growing up, ecological monitoring and even for the research purposes. This one is a password protected device that will assure you that no one else can open your recordings or frames. It also has a time-lapse camera to cover the whole day happening in the wild or surroundings, motion detection, a 0.6 to 0.8 seconds trigger time, and a super-fast continuous shooting up to 9 photos. It takes explicit pictures and videos that has 12 megapixels and a 1080 full HD for video recording in both nighttime and daytime sufficient for your needs and with the help of Illumi-night sensor, and enhanced night IR 65 degrees of the light front open for easy access. This one is also a weatherproof device that you don’t need to worry what will go to be the weather outside every day. In every frames and video that it will go to take, it has the barometric pressure, moon phase, temperature, time, date and camera/GPS ID stamps. 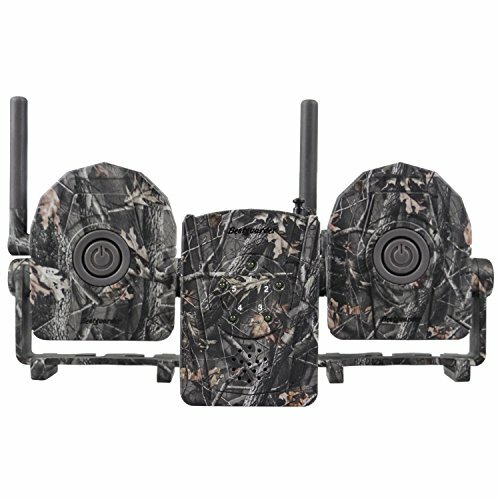 This model has a little bit of similarity with the three models mentioned above which is they are both wireless trail cameras that need detectors and a receiver. It is designed for your hunting in the wild for you also to be alert when you are doing some stand-hunting or driven hunt. This model has a five wireless rainproof IR detector, a PIR angle with 70 degrees and a PIR trigger speed of 0.5 seconds. This one has three alarm modes which are the sound, vibration and the LED light alarm mode. The detection range will each up to 12 meters, and the wireless transmission reaches up to 100 meters with an open environment for the detector it is far enough for you to detect the approaches of your animals even if your meters apart. Unlike the other models with just a receiver and two detectors included in the package, this product of Bestguarder has 5 IR detectors and straps and one receiver. The sensors are water resistant that will last even if it is raining in the wild area or if you are using this as surveillance you would not also worry about the weather. It is also a shock resistant that even if you may drop it or some animals may do some touching, it will not break. This 8 in 1 camera of Bestguarder is designed for scouting game, if your hobby is hunting or if you want to trace some animals’ trail and even you can use this one in your researches in wildlife, monitoring plants, camping fun/exploring caves and others. As usual, you can also use this one for surveillance in your area it maybe indoor and outdoor use. 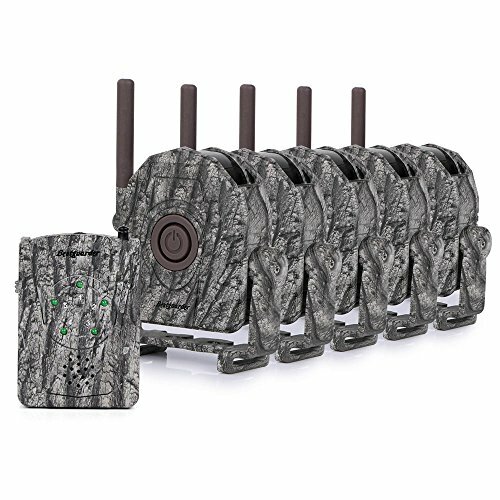 The 8 in 1 includes an HD game camera, HD video camera, HD full-color camera + videos, time-lapse camera, game call or predator call, alarm system or PIR animal chaser, and motion detect the camera and a wifi camera + mp4 + SD. It has a 12 megapixels high-quality full-color resolution and will take 1-9 pictures per trigger. The patented motion detect function for this one is used for cold-blooded animals and surveillance, it captures HD images and videos on ever trigger under hybrid mode simultaneously. In every frame and videos that were taken by the camera, it has a barometric pressure, a GPS Geotag, moon phase of that night, temperature, time, date, and a camera ID stamp. It is waterproof that can be used either indoor or outdoor without a problem of it getting wet with the rain. 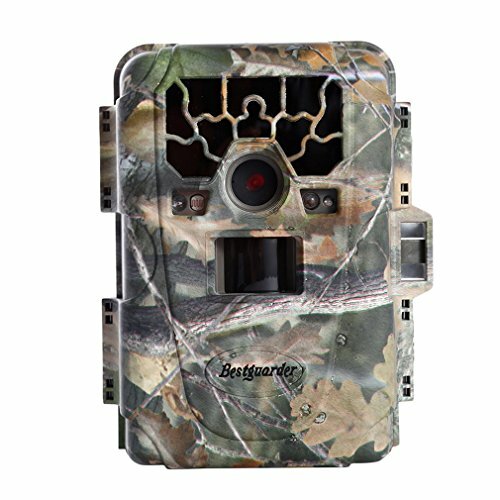 This Bestguarder trail camera has 12 megapixels with FHD video resolutions for high-quality shots and clips in every photos and video with a format of JPEG and AVI. It has overlay video clips and frames with time location, date, the weather of that day it was taken and some other data that are relevant to having information. This model also has a fast trigger speed that will ensure you that you will never miss some activities in the wild even if it moves so fast and a programmable video and photo shooting, it has colored images in daytime and black and white photos at nighttime. It has an adjustable PIR sensor and also this one will indeed assure you that you would not miss any of the action with its full angles PIR sensor and seriously fast trigger time under second means. This also has the cameras 36 IR LEDs and night vision that you can be sure to capture all night events and day. A night vision that will keep you still be monitored even if it is your sleeping time because you may again watch it during the day on what is happening in your area or the wild.